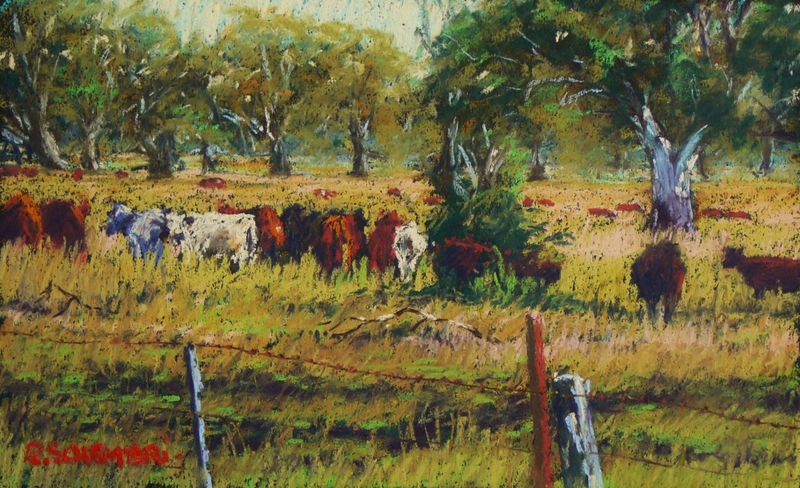 "Beef cattle - Victoria Valley"
Pastel on Mi Teintes pastel card 160gsm. Dunkeld Victoria Australia. 2012. Won Second Best Pastel-City of Warrnambool Art Show. 2012.